Another simple right angle weave bracelet using only simple materials. You only need 11/0 seed beads and 3mm round. You can substitute 3mm round with 3mm bicone or 2x3 rondelle or any 3mm shape, even 8/0 seed beads. It's always fun to play with colors. I mix pastel myself. I include full colors list and where I bought the material in the pattern. I hope you will enjoy this free carrier beads tutorial! This is the short free tutorial how I decorate my peyote strip on the carrier beads. However, I will not include the basic peyote stitch here. Feel free to change or substitute beads as you like. The quantity will depend on the length of your bracelet and the colors you want to include in the design. It's been a while I make free tutorial. lol You only need seed beads and some pearls to complete them. 1. Cut the comfortable length of thread. Pick up twelve 11/0A. Pass through all beads twice. Exit at the first 11/0A (red arrow). 2. Pick up 11/0B, 11/0A and 11/0B. Pass through the third 11/0A (red arrow). 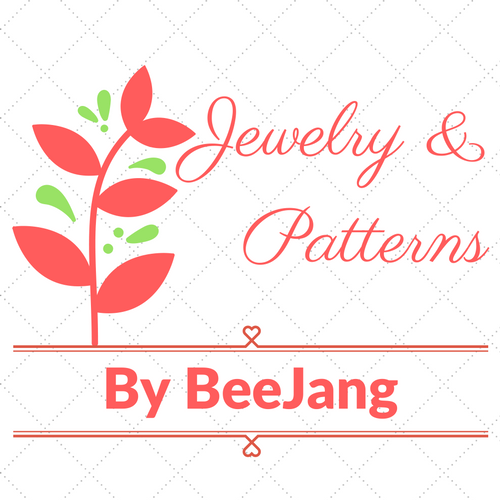 This is the same Pearla pattern I published few months ago in my shop, http://bybeejang.etsy.com/ You can substitute pearls with crystal bicones. This is the color list. I would prefer 3mm in Satin (or 4mm in VM to make a match), but I don't have enough beads.